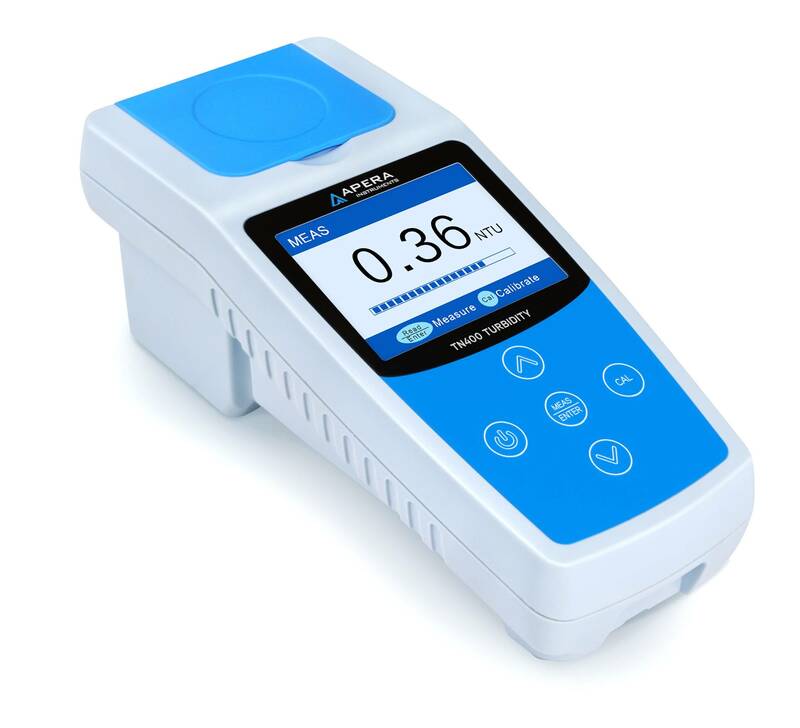 The Apera Instruments TN400 Portable Turbidity Meter is built with an infrared light source, using ISO7207 compliant nephelometric method (90°), equipped with a large TFT colored screen, designed for reliable turbidity measurements from 0 to 1000 NTU in various applications both in-field and in-lab e.g. 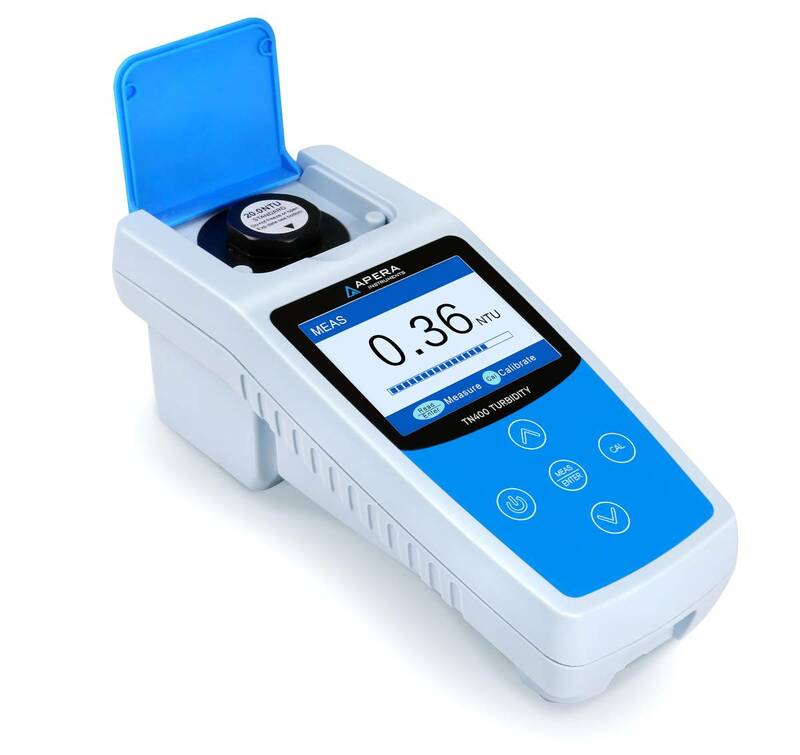 environmental monitoring, water treatment, beverage making, etc. 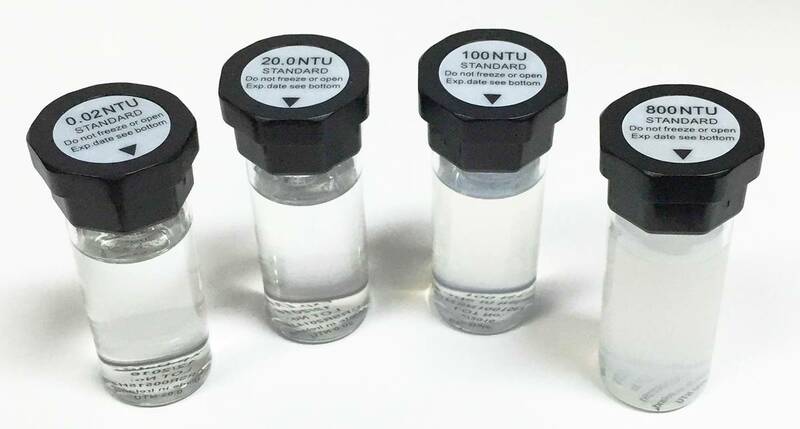 The test kit comes with 4 vials of high-molecular polymer turbidity standard solutions (0.02 NTU, 20.0 NTU, 100 NTU, 800 NTU), an EPA approved primary standard for calibration of turbidity sensors that is safe, non-toxic and disposable. It is NIST traceable to particle size/distribution and optical density, and its inherent stability means it does not settle from suspension. The standards have a guaranteed one-year shelf life even if you've opened the bottle and happened not to have recapped it tightly. 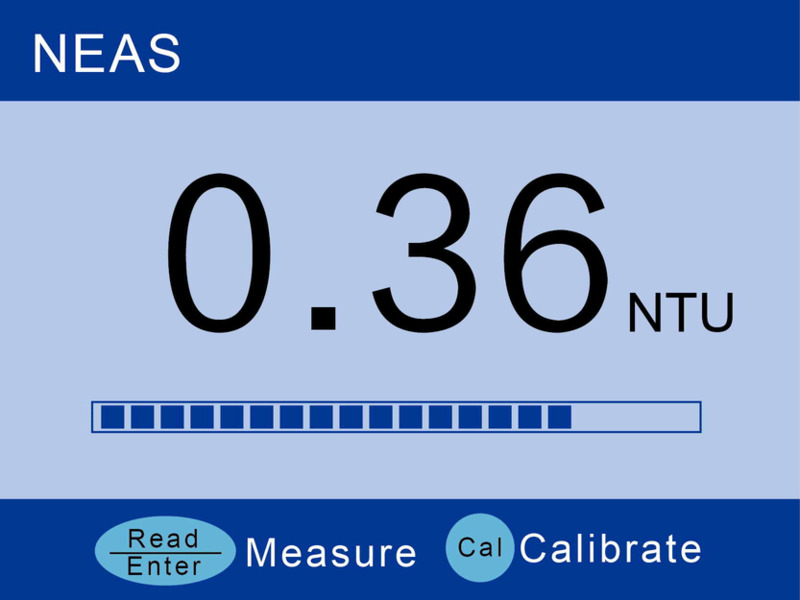 The convenient submicron polymer suspensions are non-toxic primary calibration standards approved by the US EPA for drinking water analysis for turbidity. 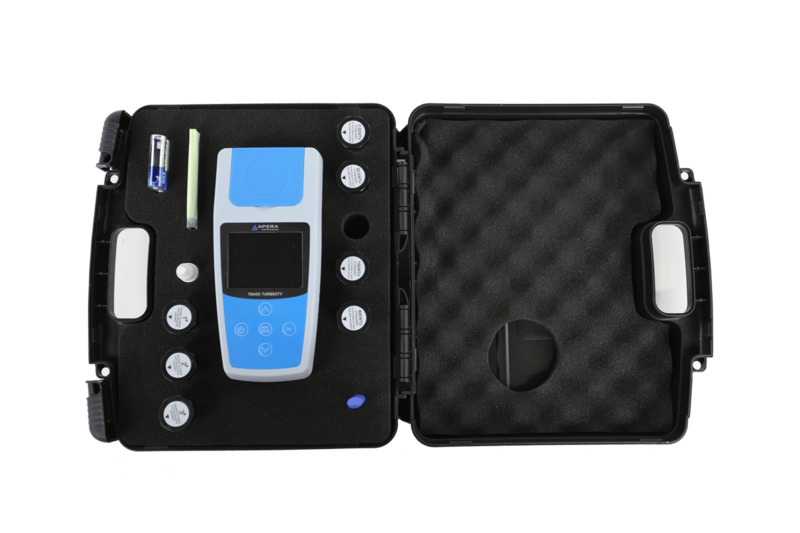 The meter is CE certified and comes with a 2-year warranty. 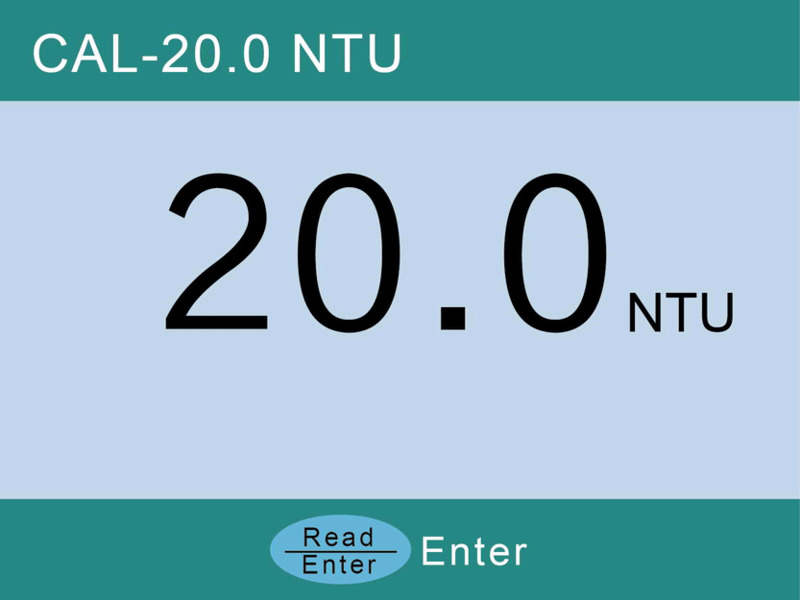 The performance to price ratio for the TN400 is the best of all the available turbidity meters of which I am aware. We warrant this instrument to be free from defects in material and workmanship and agree to repair or replace free of charge, at the option of APERA INSTRUMENTS, LLC, any malfunctioned or damaged product attributable to the responsibility of APERA INSTRUMENTS, LLC for a period of TWO YEARS for the instrument from the delivery.